Rest assured! 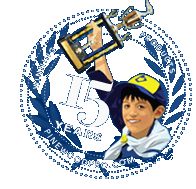 Pinewood Pro has been a secure site since 1999. Pinewoodpro.com security is backed by Trust Guard, GeoTrust and Authorize.net. We use the latest industry standard, True BusinessID EV SSL (Extended Validation Secure Socket Layer) encryption technology to keep your personal and credit card information safe. Your personal information is only used to process your credit card order. Your email address is only used to send you a confirmation receipt, tracking number and/or eBook download email. Pinewood Pro (and only Pinewood Pro) may also send you an annual announcement of new products, or a discount coupon code. A customer satisfaction survey and/or product rating email may be sent by our business partner Shopper Approved or by Google Trusted Stores. We value your privacy like our own. We do not disclose your information to anyone for any reason, ever. Pinewood Pro values your privacy like our own and is committed to providing our customers with complete privacy. We will not share or sell your personal or financial information with other businesses or individuals, ever. We maintain a database of contact information, but use this only to contact our customers if there is a problem with their order. We do not keep credit card information on file for future use, and we thank our repeat customers for their patience in resubmitting their credit card details with subsequent orders. Pinewood Pro links to other web sites but does not share any information with web sites to which it links. Pinewood Pro does everything to insure your privacy. We do not disclose your information to anyone for any reason, ever. This policy has been in effect since February 22, 1999. Pinewood Pro offers our customers a full money back guarantee on all products purchased directly from us. Shipping charges will not be refunded as they were paid to your carrier.